The following is a selection of recent communications management and strategic information work. 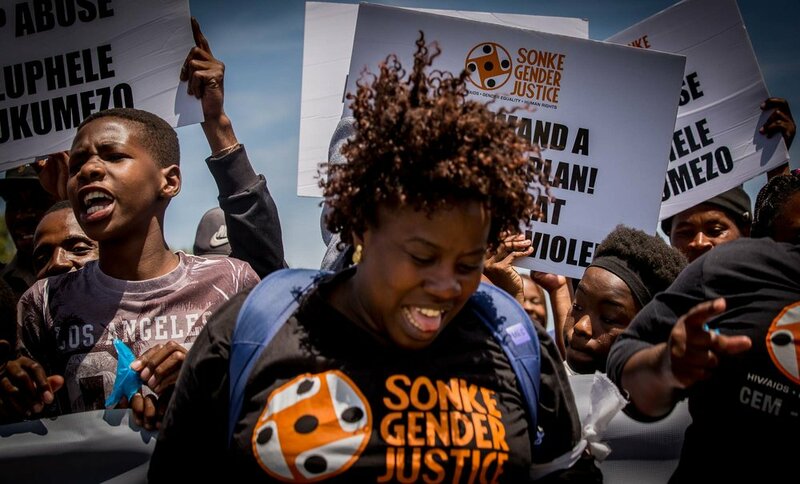 With funding from Community Media Fund, a Bloomberg Media Initiative, I successfully implemented the Radio Waves project, which aimed to increase the quantity and improve the quality of local language programming on gender equality and gender-based violence on community and campus radio stations in South Africa. Working closely with in-house and freelance videographers, directors and editors, I have produced a number of documentaries and videos and through strategic partnerships, ensured broad dissemination. Examples include: ‘I’m Scared of my Teacher’, ‘Justice for Nosipho Mandleleni’ and Sonke’s 10 year anniversary video. My experience as a magazine editor means that producing, eye-catching, impactful reports is second nature to me. I understand the importance of strong imagery and ensure that compelling, accurate copy is accompanied by pictures which tell a powerful story. By transforming complex ideas into concise and accessible messages, I have produced communications materials for a variety of audiences. Examples include factsheets on the issue of sexual harassment and the gendered impact of drought. I am highly experienced in media liaison including writing and editing impactful press releases that guarantee media coverage and organising press briefings that offer media strong content. As well as coaching colleagues on delivering strong interviews, I have conducted interviews myself on radio and television. Whether part of an internal or external communications strategy, newsletters offer an excellent way of getting a message directly into inboxes. Ensuring they are read, requires regular sending and compelling content. Together with technical experts, I have developed trainings for the media on reporting sensitively on issues of gender-based violence and migration. I have also developed and run workshops for community activists on networked journalism in Zimbabwe and Sierra Leone. The following is a selection of recent written work.